Unique interesting design and beautiful quality this coat hook is part of a larger contemporary bathroom and shower accessory collection which is considered the best quality in the UK. We have been selling this collection for nearly ten years and have never had a quality or corrosion warranty claim. * Lovely styled coat hook. 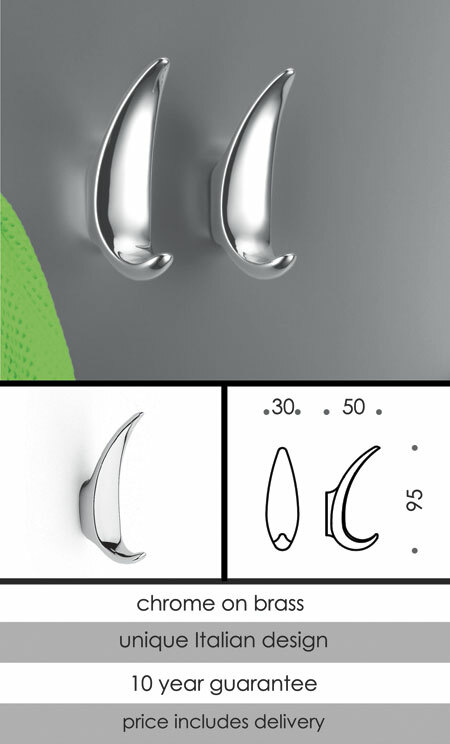 * Coat hook is 95mm high.